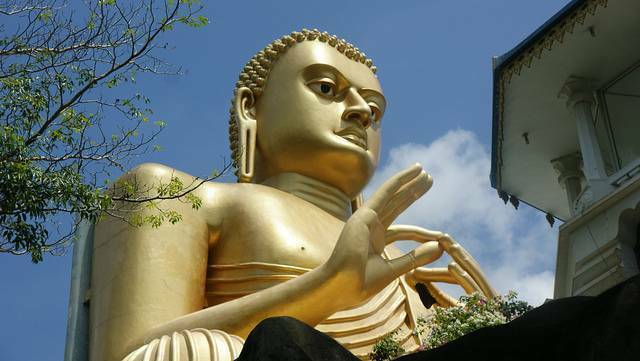 Situated in the central part of Sri Lanka, The Golden Temple of Dambulla or Dambulla Cave temple is regarded as a World Heritage Site of Sri Lanka. The temple complex is the largest in the country has about 80 known caves in the surrounding area. The temple was constructed in the first century BC which makes it one of the oldest temples in Sri Lanka. The temple complex comprises five caves which have now been transformed into rooms and shrines, among which the three are namely Cave of the Divine King, Great New Monastery, and Cave of the Great Kings. There are numerous statues and paintings in these five caves which include the ones related to Gautama Buddha. Dambulla Cave temple also has statues of Vishnu and Ganesha. Each of the shrines and rooms signifies many periods of Sinhala art and sculpture. The walls of the caves have depictions of the temptation by the demon Mara and Buddha’s first sermon.